Graham Norton's Own Sauvignon Blanc is a popular New Zealand White Wine available from Tesco Groceries in 75cl to buy online. Visit Tesco Groceries for the best price for 75cl of Graham Norton's Own Sauvignon Blanc or compare prices on our other New Zealand White Wine products. He's trod New Zealand grapes on the set of his famous show and blended Marlborough sauvignon blanc into an award-winning wine in a London apartment. This year, though, top talk show host Graham Norton and Kiwi winemakers Invivo headed to Graham's own back yard to work their winemaking magic: Bantry House in County Cork, Ireland. Invivo cofounder Tim Lightbourne and winemaker Rob Cameron travelled over 20,000 kilometres to Norton's summer location – complete with their precious cargo of six distinctive Marlborough Sauvignon Blanc pressings. Then, over a reportedly riotous afternoon blending session the trio created Graham's 2016 Sauvignon Blanc. Where to buy Graham Norton's Own Sauvignon Blanc ? Graham Norton's Own Sauvignon Blanc Supermarkets & Stockists. 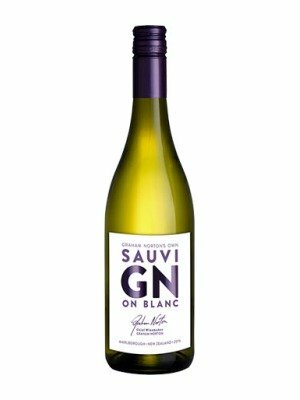 You can buy Graham Norton's Own Sauvignon Blanc online in most retailers and find it in the New Zealand White Wine aisle in supermarkets but we found the best deals online for Graham Norton's Own Sauvignon Blanc in Tesco Groceries, Tesco Wine, and others. Compare the current price of Graham Norton's Own Sauvignon Blanc in 75cl size in the table of offers below. Simply click on the button to order Graham Norton's Own Sauvignon Blanc online now.